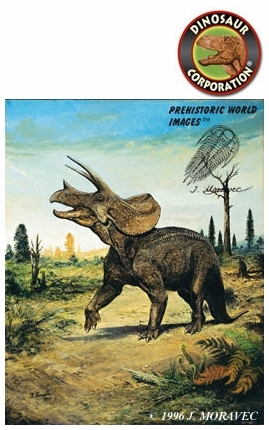 Triceratops prorsus. Art print.Printed on premium glossy super-B photo paper. Original Oil Painting by Josef Moravec.